Whether you're hoping to improve your self-defense skills, planning to join a local boxing gym or considering a professional martial arts career, punching power is key. Your coordination, balance, timing and ability to anticipate your opponent's moves play significant roles in the quality of your punches. No matter how well-timed your punches are, though, they won't have much of an impact if you can't punch hard enough. Building strong muscles in your upper body can give you the necessary strength to land hard punches. Much of the power in your punches comes from your shoulders and back, so do push-ups, pull-ups and shoulder presses to target these muscles. Strengthen your arms with bicep curls and target your chest with bench presses. Because your abs act as stabilizers, focus on these muscles by performing sit-ups and crunches. Work to stabilize your core -- which plays a key role in both punching and balance -- by doing a captain's chair. 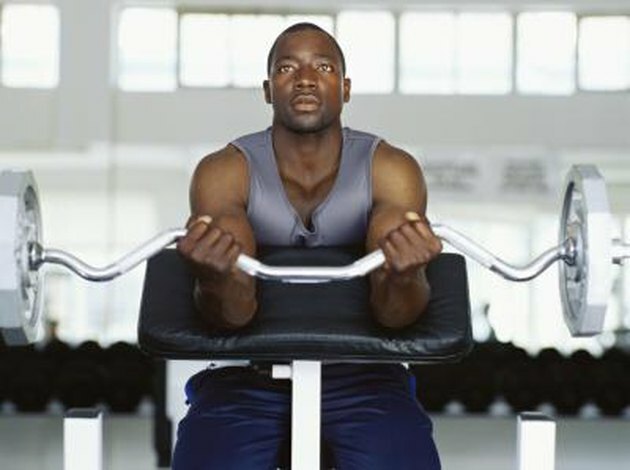 Position yourself in your gym's captain's chair, gripping the handles with your elbows bent. Bend your knees and, using your abs, slowly raise your legs off of the ground, holding for five seconds and then lowering yourself back down. Start slowly, aiming for five or so reps of each exercise and then gradually build up to more reps and several sets. Exercises that encourage you to improve your form while boxing can help you improve your punches. First, you'll need to determine your reach and ensure you never try to land punches that fall outside of this reach. More importantly, though, is spending lots of time in a dynamic practice situation with a trainer who can spar with you or move a punching bag for you. During these training sessions, focus on keeping your hands up and your back straight and keep moving. As you gain proficiency with proper form, you'll improve your coordination and your punches will become stronger. Particularly during a tournament, cardiovascular strength can mean the difference between being too exhausted to land a single punch and expertly nailing hit after hit. Don't neglect your aerobic workouts and consider incorporating them into strength training by circuit training. 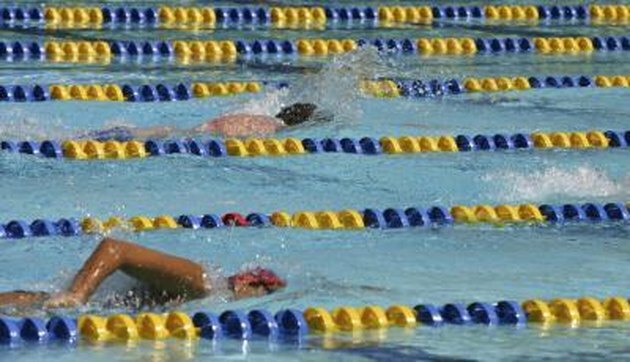 Aim to do 30 to 60 minutes of running, jumping rope, swimming and other forms of similarly intense cardio on most days of the week. To get a taste of the cardio challenges you'll face in the ring, do your cardio workout first and then work on strength training to mimic the exhaustion you might feel during a tournament. Shadow boxing can be your best friend when it comes to improving both the strength and quality of your punches. Shadow box after a warm-up, but before you spar or use a punching bag. Focus on maintaining steady foot work and proper form, and visualize an opponent. The real goal of shadow boxing is to practice ideal form and punching speed. For an added challenge, try holding hand weights as you shadow box. 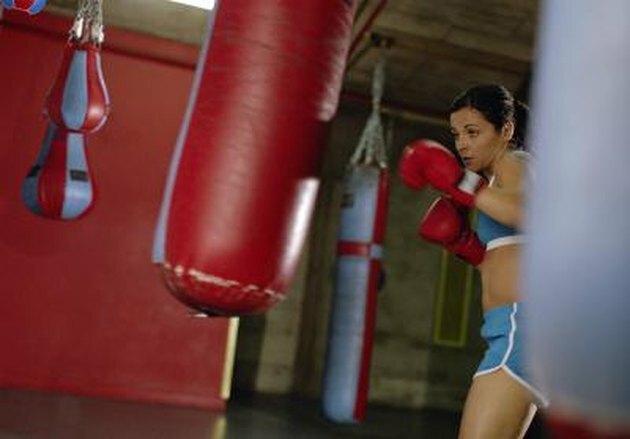 You'll feel exhausted, but you'll build strength in the muscles you use to land punches. 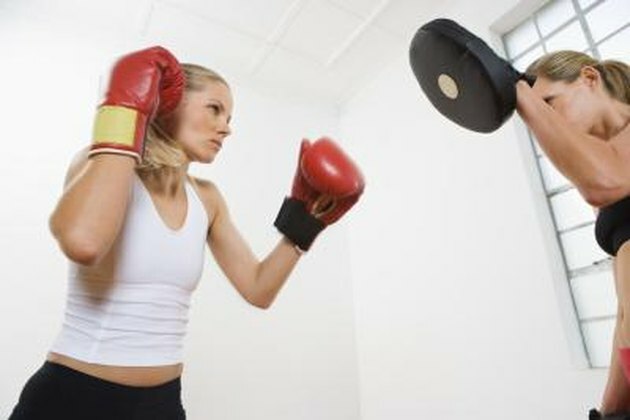 You can also turn shadow boxing into a cardiovascular exercise by doing it while you run. Mixed Martial Arts; B.J. Penn et al. The Mixed Martial Arts Instruction Manual; Anderson Silva et al. Will Boxing Training Get Me Into Shape?